Another week in the books here in the 203 and we continue to learn more and more about each team. The fun part about making polls is the discussions they create. Of course not everyone will agree with this poll, and that’s the beauty of it. People always dispute the NCAA polls, whether it’s lacrosse, basketball, football, heck any sport. Why? Because they disagree, and that will always happen. Aight, back to the action. There’s not too much shuffling this week outside of the top 5. We learned a lot about several teams and certainly have some interesting matchups to keep an eye out for moving forward. Darien – The Wave roll on. Wilton cut it to two goals early in the 3rd but the Wave D stool tall. Sean Collins is proving all the haters wrong in cage and he had his best game of the season with 18 saves. Brian Minicus (3G, 4A) paced the offense with the absence of his buddy Logan McGovern. Not sure what the injury was but upon arriving at this game I quickly noticed #4 was not suited up and walking with crutches during warm-ups. Nonetheless, even without #4 the Wave were lethal. They made Wilton pay for every mistake, and often times cashing in on transition opportunities. Another player to note was Jackson Peters who scored 3 goals running on Darien 1st midfield. Peters, who moved to Darien from Greenwich (things the Cardinals would do to have Peters back…) over the summer has been a great addition and is becoming one of the elite FCIAC middies. It’s rivalry week for Darien as they host New Canaan next Saturday. Ridgefield – It’s safe to say that right now the Tigers are the second best team in the state. The scariest part about it is they’re missing their best offensive player. Dan Parson continues to stand on his head but what was most impressive was Noah Issacson containing Connor Drake to just one goal in the Wilton game. Ridgefield doesn’t do anything extremely flashy, but they (like Darien) will kill you if you make mistakes. Against Wilton they took advantage of every unsettled opportunity they could get and they were very smart with the ball offensively, not forcing passes and looks and allowing the game to come to them. They take on John Jay tonight in a huge out of state rivalry game (claiming this as the Battle for Cameron’s Deli). JJ will ride in high and they’re coming off a nice win against Pleasantville. Later in the week, the Tigers play at Staples. I’d be shocked if they lost this game but it’s been a one-goal game each of the past 3 years so you know the Wreckers will be ready. New Canaan – There are a lot of moving parts to this team. It was evident when watching them play against St. Anthony’s. St. A’s is strong this year, but they aren’t unstoppable. Similar to the theme about they above teams, they made the Rams pay for their mistakes. The Friars scored at least four goals off of turnovers into unsettled situations. The goalie battle for the Rams continues and I think it hurts them. Carl Mazabras (a former QuickStick HROTD) got the start and stood tall in the first half. He made way for Bennet Ong (who started in their win vs Wilton) but Ong wasn’t on his game and quickly let in 3 goals and the game was out of reach. If a team can shut down Quentin O’Connell, they will have success against NC. Owen Shin will compliment him and it’s huge that he’s able to draw the shorty, but there’s only so much he can do. NC will prep for Darien next weekend. Boy, would they love to end the streak. A quick note about St. Anthony’s, we all know that Brennan O’Neill is a stud, but boy that kid is a man-child. The fact that he’s only a sophomore is scary. He put on a clinic at Dunning on Saturday afternoon. One goal late in the 3rd was an underhand fake (reminiscent of YouTube legend Zach Reed) to a dip, dip, dunk finish. FILTHY. Wilton – Such a tough team to figure out. A one-goal loss to Chaminade which featured an incredible comeback after a slow start was followed up with a poor offensive display against Ridgefield and then another L to Darien. We were at this game and certainly, the Warriors had their chances but they were sloppy and undisciplined. Turning the ball over on man up and 3 offsides penalties will kill you if you want to run with Darien. It’s clear they’re trying to figure out the most effective way to use Connor Drake. Against Ridgefield, he was on attack while against Darien he ran out of the midfield. This allowed Joe Murtha to draw a shorty and it wasn’t the worst idea. Nevertheless, Wiseman and his guys need to figure things out quick because the road doesn’t get any easier. John Jay and Staples at home this week, maybe being back at Fujitani will help out the boys on Route 7. Fairfield Prep – The Jesuits continued their SCC run with ease as they knocked off Amity and Shelton this past week. Their biggest in-state test of the season is coming up this week with Cheshire at home, followed up with a trip to Huntington, NY to face the same St. Anthony’s team that just waxed New Canaan. We’re still looking to learn a bit more about this Prep team. The result of their games this week will tell a lot. New Fairfield – The Rebels had their toughest test of the season and took down Weston by 6. Admittedly surprised that this game was that close but credit to Weston for making this a game for the 1st half. Keep an eye out for Henry Cohen for the Trojans down the road. As for NF, their big guns stepped up with needed. Matt Carlucci led the way with 3 goals, while Brett Tenaglia (thx for the Insta love) and Liam Ford added two apiece. Nick Alviti anchored the defense for a strong second half in which the Rebels did not allow a goal. Even with the result in this one, at this point, it looks like NF and Weston are the two best teams in the SWC. Greenwich – The Baby Cardinals got a much need W over a top FCIAC team and they did so against Staples in less than ideal weather conditions. Matt Baugher (3G, 1A) and Jack Feda (2G) set the tone offensively. While junior goaltender Connor Santry stood on his head making 17 saves. The excitement was short lived however as the Cardinals (as expected) got torched in the battle for Greenwich against Brunswick. ‘Wick may be the best team in the country. Greenwich has a tough 3 game stretch ahead of them with New Canaan, Chaminade, and Wilton (all 3 at home). If the Cards can come away with one win during that stretch, I’d call it a victory. Staples – The Wreckers don’t fall far with the loss to Greenwich and some may be shocked that Greenwich has jumped them in our poll. The Wreckers are 8-1 with their most impressive victory coming against Fairfield Warde by the score of 10-5. That doesn’t say much. On Saturday, in the 7th Annual Sticks for Soldiers event, they beat Trumbull by 6, the team that shocked Greenwich 3 weeks ago, but we’ll learn a lot about the Wreckers in their next two games. They take on Ridgefield and Wilton this. Side note, congrats to Evan Zinn on being selected to then UA All American game. Hopkins is getting a great one in #11. Glastonbury – Tomahawks got a big win over Daniel Hand. This was a win and stay in for our rankings, maybe the kids up north heard? Nonetheless, this was a great win and effort from Glasto. Coming back from down 3-0 early, for a young team, this says a lot. Sophomore Nolan Flood seems to be filling into his older brother’s footsteps quite well and Nick Consoli is evolving into a premier offensive threat. Glasto takes on Avon this week before hosting Newtown, a team that just knocked off Simsbury (although Simbsbury is certainly having a down year). Cheshire – Shoutout to the guy who always posts twitter updates for the Rams. He’s a stud and does a great job. I get a kick out of the postgame photos but hey, content = followers (guilty). The Rams sit at 5-2 and would like nothing more than to knock off the Jesuits tonight and make a splash in the SCC. After Prep they have an OOC game at Trumbull, a rematch of their 2017 Class L Tournament 1st Round game that Cheshire won in overtime. 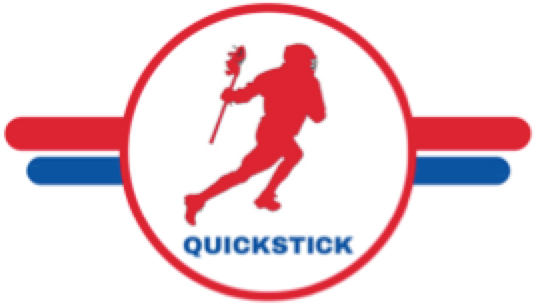 As always, be sure to follow us on Twitter and Instagram (@QuickStickBlog). We post highlights and links to our other articles throughout the week as we continue to cover all things lacrosse!